The Mirage family is on hold until a) they fix the vanishing relationships issue, which I think they may have and/or b) I decide I can handle a legacy which only produces twins and triplets. In a classic case of be careful what you wish for, it seems the karma pixies heard me when I said I wanted to try running several characters at once in a Sims game, horrid creatures that they are. So I created a new legacy — the de Lyttes — some weeks ago, but what with Thanksgiving here in the US and other life, work and reasons stuff they haven’t been played all that much — and what has occurred has been the rather tedious (and always similar) beginning stage where the founder has nothing much with which to fill up that 50 x 50 lot. But all of a sudden things did start to happen in the last session, so I’ll go ahead and present the founder and a few pix. My house rule is that family members must be named after dances. I had a lot of fun with the Mirage family card game names (poor Ratscrew! ), and the dance names offer a little more variety while being a little less off-the-wall. 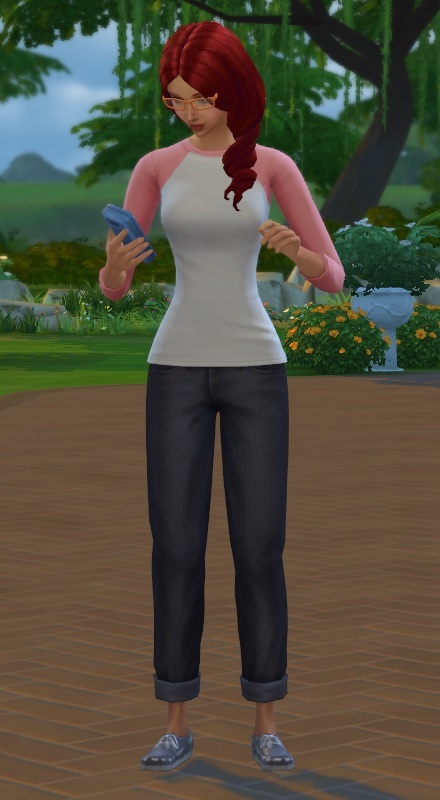 Active Sims love random sit-ups! Eventually Tango was declared legally dead and Samba discovered she had inherited a rather valuable piece of property in the up-and-coming town of Willow Creek. Having spent several years dodging all the people to whom Tango owed money and favours (sometimes literally, hence the Active trait) and occasionally being helped out by some of Tango’s more savoury friends and acquaintances (hence the Foodie trait), Samba decided that a quiet life in an out of the way part of the country might be exactly what she needed. 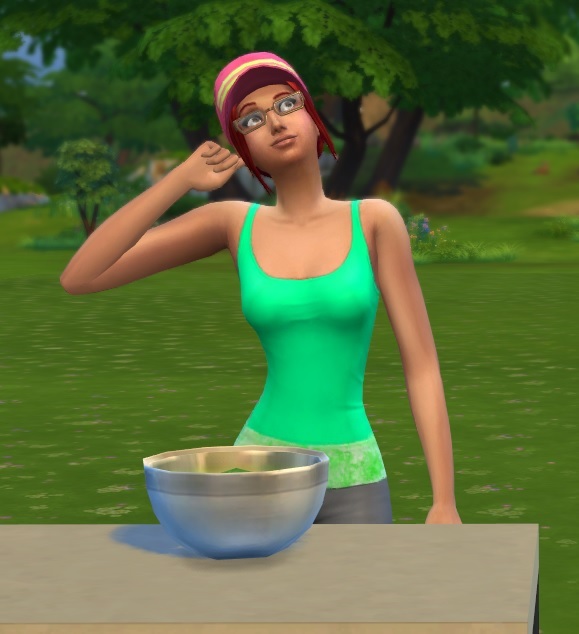 ‘Quiet’ being a relative term – she doesn’t know what she’ll be yet, but she knows that someday she’ll be famous and so rich she can bathe in Simoleons. …which apparently had hygiene requirements Samba wasn’t prepared to follow… or as a writer, which clearly bored Samba to death. What I know and Samba doesn’t is that she’s destined for a career among the stars, though not on the right side of the law – she’s going to end up an Astronaut/Smuggler branch. But that’s a story for another time, and I have some followers to send on missions in WoW.